So – Jaunary for me is always a bit of a ‘play’ month, try new things, techniques etc. 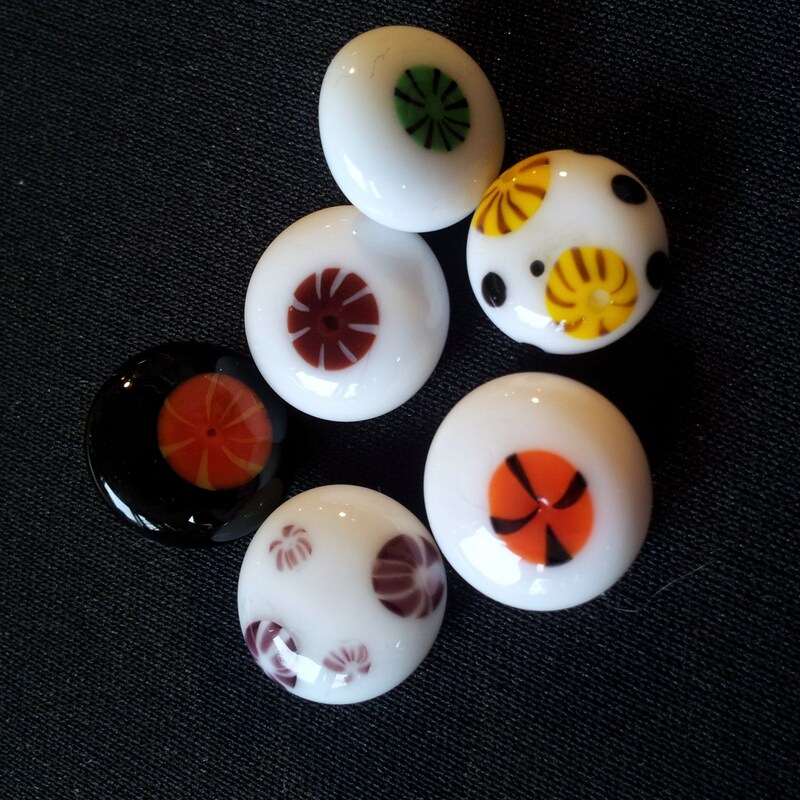 I managed to make some not too shabby murrini – these are additions that you add to beads, you make a big ol’ stick of rock type thing with glass and then get it hot and stretch it out, so that when you cut off little slices you have a pretty pattern. 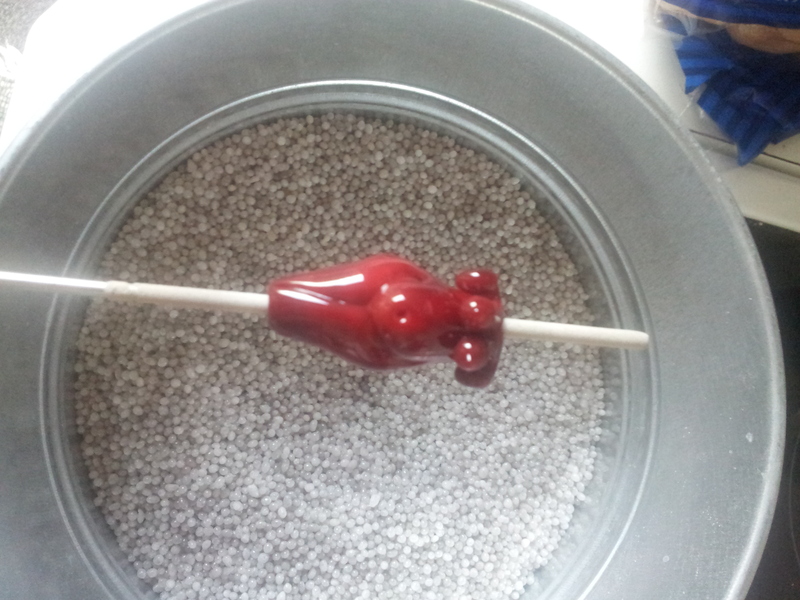 Then I had a go at something I’ve wanted to do for ages – Goddess beads. These are basically nudy ladies and celebrate the female form in it’s wondrous lumpy and bumpy glory. Nudes aren’t for everyone, but I succeeded in making two decent ones and am inspired to go on and try different techniques and designs, so look out for more soon! It’s been a couple of weeks since I made these so I’ve had plenty of time to draw more designs and ideas. What’s next? More goddess beads, obviously – and well, there’s a special day coming up soon so perhaps some hearts!